At Lewert Law, our Boca Raton family law practice provides clients with sound legal advice and trustworthy representation in a wide range of family law matters including divorce, child custody and timesharing, child support, equitable distribution of assets and debts, alimony, post-judgment modifications, enforcement and contempt actions, paternity actions, and pre-nuptial or post-nuptial agreements. Experienced Boca Raton family attorney Tina L. Lewert also offers mediation services as a Florida Supreme Court Certified Family Law Mediator. We work to understand your unique circumstances, to protect your best interests, to respect your needs, and to maintain contact as your case develops to ensure that you understand your options at all times. This is our commitment to you. Florida, like every other state, is now a “no-fault divorce” state. It takes only one partner to affirm that the marriage is “irretrievably broken.” Fault may still enter into the case, however. A Florida divorce judge may refuse to order alimony, for example, if the spouse who would receive the alimony is “at fault” in the divorce. If you are divorcing or anticipating divorce in south Florida, get the legal help you need and contact an experienced Boca Raton divorce lawyer as quickly as possible. Divorces in Florida may be contested or uncontested. In an uncontested divorce, there are no disputes between the spouses regarding child support, child custody, child visitation, the division of property and debts, and the alimony question. When nothing is in dispute, an uncontested divorce can be accomplished sometimes in less than six weeks. If the divorce is contested, and a judge has to settle disputes, a divorce in Florida can take six months or more and up to a year in counties where the courts are backlogged. Most divorcing Florida spouses settle their disputes privately or with the help of a neutral mediator. To begin the divorce process in Florida, have your divorce attorney help you file a document called the “Petition for Dissolution of Marriage.” In this petition, you make and explain any claims you have for child support, custody, alimony, and division of property and debts. Typically, a process server will deliver the papers to the other spouse personally. If you are a parent, Florida law requires you to attend a seminar about children and divorce, but spouses are not required to attend the seminar together. To obtain a divorce in Florida, one spouse must be a Florida resident for at least six months prior to filing for the divorce. If you need a divorce attorney in south Florida, or if you simply need more information about divorce so that you can make informed decisions about your future, contact an experienced Boca Raton divorce lawyer promptly. In settlement negotiations, during mediation, and at trial, we help clients understand the consequences of their decisions and help them make the best decisions possible. Whether through litigation or mediation, we are dedicated to helping clients resolve whatever family law matters they face. We focus on finding solutions that are fair to all parties and in the best interests of the children. DO YOU NEED AN AGGRESSIVE DIVORCE ATTORNEY? Finding the right Boca Raton divorce lawyer for your divorce case can be a challenging prospect. After all, you want someone who looks out for your best interests and prioritizes your family’s well-being. Unfortunately, many people fall into the trap of wanting an aggressive divorce lawyer, who will drag their ex-spouse to court, and to the cleaners. If you have a lot of resentment towards your ex-spouse, you may think that an aggressive divorce lawyer who drags him to court for every little thing, is exactly what the doctor ordered to teach your ex-spouse lesson. However, divorce is when you need to be most practical. Remember, that an aggressive divorce lawyer is almost never an effective negotiator. There will be extensive negotiations involved in a divorce and most of the issues that are the thorniest to resolve, like child custody, alimony or child support can be effectively resolved through smart negotiations. Your divorce lawyer should be able to get you a settlement that prioritizes your interests, without causing even more bad blood between you and your spouse. An overaggressive divorce lawyer is much less likely to reach a settlement. 90% of divorce cases are settled, and in most cases, this is the best option for both of the parties concerned. No one wants to negotiate with someone who is hostile, uncooperative, or frequently in battle mode. Also remember that if you have children, you must absolutely continue to have a good relationship with your ex-spouse. Hiring a lawyer who is abrasive or hostile increases the risk that you will have a strained relationship with your ex-spouse. That doesn’t bode well for your co-parenting prospects. More than 100,000 lawyers practice in Florida, but only 281 are “Board Certified” in Marital and Family Law, which is the Florida Bar’s only expert or specialist designation. 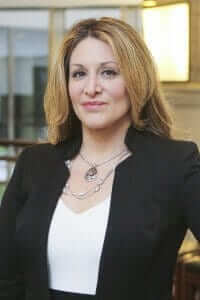 Our firm’s founder, Boca Raton family attorney, Tina L. Lewert, Esquire, is one of those specialists. She has extensive experience litigating and mediating complicated family law cases, and 100 percent of her practice focuses on family law. Ms. Lewert’s expertise, specialized knowledge, and skill as a trial lawyer ensure that all aspects of your case, including the most complicated financial and parenting matters, are fully and fairly resolved on your behalf. By consistently providing the highest-quality professional services, we have built a reputation for effectively representing our clients in Boca Raton and the surrounding communities. Many clients are referred to us by satisfied former clients and by other Florida attorneys familiar with our dedication and proficiency. At Lewert Law, we explain your options, protect your rights, and help you take the appropriate legal steps toward a brighter future for you and your children. We invite you to schedule an appointment by phone at 561-220-0123 or by e-mail through this website to discuss your needs, options, and legal rights as quickly as possible.